Chairman and CEO of MobiCom Corporation Mr. Tatsuya Hamada arrived in Mongolia two years ago. Prior coming to Mongolia he worked in Düsseldorf, Frankfurt and Brussel cities as a delegation from KDDI group, Japan. -Thank you for accepting our invitation for the interview. First of all, I would like to ask you about your name. What is the meaning of your name? -Thank you for asking my origins. My name “Tatsuya” is shown in Japanese writing like this, 達弥 tatsu-ya by two components. By these two characters, it expresses “grow, achieve, accomplish, promote by straight and widely”. For this naming, I will need to appreciate my parents. -Let`s talk about your childhood. Where did you grow up? -I was born in Osaka city which is the second largest metropolitan city following Tokyo city located in the west part of Japan. When I was 12 years old, my family moved to Tokyo because of my father’s job. After we moved to Tokyo, I grew up there until the time when I graduated from University. -What was your childhood like? -Honestly, I was quite naughty and kind of a leader among my friends pack. Quite often, I got injured by accident outside as I was always playing hard and extreme, which made my mother worry a lot. -I heard you used to work in London before arriving in Mongolia. When did you leave your hometown? -Yes, when I joined KDDI in Tokyo after graduating University, I was appointed to work in Hokkaido as my first job responsibility, which is the most northern part of Japan. Then, after three years, I was called back to HQ in Tokyo to work for another 3-4years there. In 2004, I received an offer from the company to work in London. I spent almost 4years in London. Then I received the next offer to work in Düsseldorf, Germany, which lasted for one and a half year, then moved to Frankfurt for three months, after Germany, I received my next offer to work in Brussels, Belgium for two years. In 2011, I came back to Tokyo after spending 7 years in Europe. -My father and my bosses in the company. Also, my karate teacher during my childhood and youth period. -I just simply like action movies. My all-time favorite book is “As A Man of Thinketh” by James Allen. My hobby is to work out in Gym. It’s kind of my discipline on my life for many years. Also I like rugby football, Martial arts (as I used to do karate and kick boxing when I was young), motor sport. Mongolian meal, maybe once s week, I eat khuushuur or buuz. Unfortunately, I rarely cool recently as I’m quite busy and live alone. But I used to cook Japanese meal often when I was young. -I heard you ride motorcycles. Did you ride it in Ulaanbaatar? -Yes, I ride on Harley Davidson since the time when I was living in London. Whichever country I was I took my motor bike there, but, Unfortunately, no chance to ride in motor bike here and my motor bike is now in Japan. Only when I get back to Tokyo sometime, I ride. -Mongolians are proud of vast land, national language, culture also the history that our ancestors have left for us. What is the biggest pride of Japanese people? -I think “Humanity” would be one of Japanese pride. Also, I feel most of Japanese people fundamentally has “Honesty”, “Politeness”, “Courtesy”, “Manner” and “Moral” within ourselves since the time of “Samurai era”. Secondly, as an independent island country for thousands of years, having unique and traditional culture, beautiful and variety of nature is also our pride. Thirdly, we are proud by the mixture of these factors, economy, technology and modern culture were all highly developed. -As a developing country, Mongolians mostly eager to get examples from USA, EU nations, Japan and Korea. What about Japan? -In the past, maybe more than 100 years ago, Japan was trying to become westernized following European countries and US. Nowadays, depending on the area or field, for example, education system, culture, technology, politics etc, the situation is different. Also, Japan itself is being the reference for those countries at present. -How do you think, what is the secret of Japanese development? -As I mentioned in the previous question, by the mixture of Japanese fundamental mentality, behavior and thinking method has been largely contributing / contributed to the development till today. -Can you please tell me about your major investment projects? 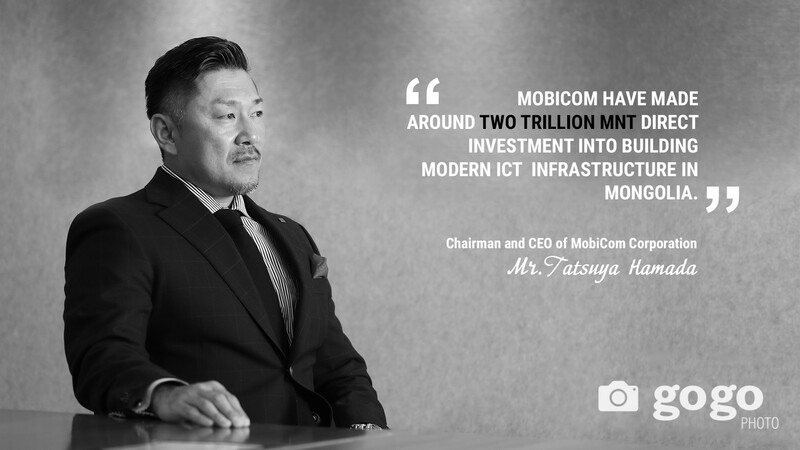 -Since the establishment of MobiCom, we have made around two trillion MNT direct investment into building modern ICT infrastructure in Mongolia. ICT sector requires huge amount of investment in order to meet global development trend. Since I joined MobiCom in 2016, we made huge investment to install LTE network in Mongolia spending nearly 100 billion MNT then, just a year ago we introduced Mongolia’s first ever LTE Advanced technology called “Carrier Aggregation”. Then, in this year and next upcoming few years, continuously we are planning to invest similar amount of money for our business development and improvement in this market. By the way, Last three years, MobiCom paid special attention to improve our network quality to provide even better experience to our customers. Throughout this investment project, we have built nearly 1,000 network base stations, thousands of hours of optimization and quality assurance. Having wider network coverage is not the only objective, we are striving to achieve. We have obligation and responsibility to provide our customers with quality and reliable services as a telecommunications service provider. Therefore, we are introducing international standards and pursuing our day-to-day activities. Of course, this is not just about quality requirement. MobiCom has made great investment not just to provide our customers with quality and reliable services, but at the same time maintain a safe and healthy environment. These are the standards for International Quality Management System ISO 9001, OHSAS 18001 Occupational Health and Safety, ISO 27001 the Information Security Management System. MobiCom does not only focus on business, but also different social investments. We have recently adopted the Corporate Social Responsibility policy in 2014. Under this policy, Corporate Social Responsibility is set to be renewed every two years. In 2014-2016, our main activities were to "Improve the quality of learning and living conditions of children and youth in Mongolia". In 2017-2018, the first activity is focused on children, the second one is focused on rare animals and their living conditions. Especially the Gobi bear Mazaalai. Mobicom Corporation is always committed to improve the social responsibility of children in the local schools and improving the sanitation and hygiene conditions of children living there by implementing the largest project in Mongolia. -Mobicom Corporation has certified by ISO 9001:2015 standard. Why does the company prefers this certificate? -ICT industry is very competitive and rapidly evolving in Mongolia. Products and service of companies are becoming commoditized more and more among service operators. So, quality is one of our advantages we offer to our customers. Imagine that you often visit a restaurant. You really like the taste of the meal which you order all the time, so you choose this place. Once you always start ordering the same food, but one time it has a completely different taste. Will you visit this place again next time? Of course not. This is the core of the quality management system. We strive to serve the same high quality as it is now and forever all the time. Getting certified by international standards, represents our efforts to provide most reliable and qualified service and products. From service shops to back end support, marketing to human resources, planning to engineering, we have strict quality assurance procedures, which makes all our efforts to focus on quality customer experience. -Can you please tell me about the OHSAS 18001:2007 standard? -The value of the company is the customer, and of course, our employee. So we need to create the safe working environment for our workers. This is the reason why the occupational health and safety system is preferred throughout the world. We receive plenty of resumes and requests for job application to Mobicom. Besides the salary, this standard is the another reason why people choose to work at Mobicom. You know there are many accidents happening everyday due to the lack of health and safety standard for employees. The standard is a reduction of the number of people injured during working hours. I mean the international standard. -Candy e-money is now usable for all tele-operator customers. What are the main benefits for candy customers? -Candy e-money will soon be available for all users regardless on which telecom operator a person use. As a result, e-money service will spread throughout Mongolia and everyone will be able to use candy to make payments and purchases, as well as transactions. Currently there are over 200 partners we work with, this number will increase significantly as well as the services we offer. Secondly, digitalization of financial service will lead the society for further more efficiency, productivity and accuracy with agility. By this, people’s life style will become more active and smarter style. Then, wherever you are, whenever you are, it is possible to use and enjoy the benefit of financial service. This is digital finance based on e-money. “Candy’s Vision”. -We use candy for various payments, purchases and micro loans. It means that Mobicom Corporation is making financial services via information technology. What is the further development plan of Candy? -Yes, This is one of the Fintech services started by MobiCom Group. Every new technology is meant to simplify services and bring value to customers. By using mobile phones, customers are now able to make e-money transaction, payments, cash in and cash out and get instant loan, which is the easiest and simplest solution of financial issues. Our advantages are that we have nationwide mobile network, sales of points at every corner of the country, 1.4 million customers’ ecosystem, e-wallet application (Candy Pay) and over 4,000 merchants and partners. With one single application, we are providing answers for very big part of financial services for our customers. Then, this Candy is not only for end users, but also for new business players or service provider and they all can enjoy the benefit of candy. Candy has an open API system. This will enable them to connect Candy by application platform level. Through this connection, these new players will be able to use Candy platform and its financial transaction system as part of their own system. In this sense, Candy can be used for B2B2C (Business to Business to Customer) business purpose. -What is your prediction about Mobicom Corporation 10 years later? -It is quite difficult question to answer concretely. This is because, please remember that what did you imagine or predict of ICT business 10years ago? But if I would say, 10 years future, of course, MobiCom will be still one of leading companies of Mongolia. However, I suppose that it’s business model and form might be different from current situation. As our business concept, we are focusing on life designing vision through mobile and ICT technology. 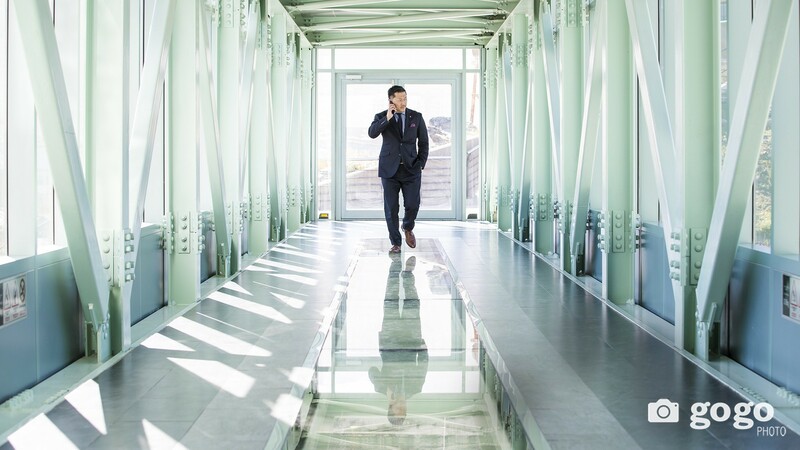 This means that we are not aiming to provide the direct service value through our current business portfolios but also more cross industrial business and indirect value we are aiming to provide. Digital Finance business is one of the examples. MobiCom will be more deeply getting involved into people’s life style. -The traditional way of getting information is now absolutely changed. People nowadays are more likely to get information by their smartphones, as the content structure is changing its way. How do you see the future contents? -Of course, content development is an important industry that is not yet developed in Mongolia. The content business is growing rapidly all over the world. If Mongolians become strong players in this area, we can make lots of profit and make a positive impact on the country's economic growth. We will always be on the lookout for consumers' needs. Our built-in communication infrastructure is the most important platform for delivering content to end users. -Mongol Content, the subsidiary company of Mobicom Corporation has introduced information technology outsourcing services in Myanmar many years ago. There are also other IT companies that run by the order of Japan, USA. Please introduce us this outsourcing project? -It was great opportunity for MobiCom Group and Mongol Content to get involved in the mobile banking project by MPT Myanmar, which is one of large invested project by KDDI. Through this project, we could prove our great capability of technology and business model in global field. Following this case, we are considering to extend the business model to other countries together with KDDI. -What does the digital development mean? How will it affect to health and education sectors? -If the digital development will affect the public service in health and education sector in Mongolia, it will be a remarkable change. People used to stay in long queue for bank services, but now you see that this structure has changed. The case is absolutely different now. Thus, all branches should try to integrate new evolving types of services into their operations. Let it be easier than ever. -There are many foreign articles and news about AI, AR technologies. In my opinion, it is so far from our society, because these artificial intelligences are related to highly developed countries. Does is have any connection to Mongolia, or will it be? -Yes, Nowadays, many of people are having talk about AI and AR. It might be actually bit far from our current life or business scene in general. However, the wave of those new technologies will come to Mongolia sooner or later. Before AI and AR, I think we will see the wave of RPA (Robotic Process Automation) technology. This is different from AI and AR but some of the part uses AI and AR technology concept. RPA is the way of automation of some kinds of process works, operations, analysis and judgement following the rule which made by human. On the other hand, AI and AR will make own rule by themselves. Nowadays, this RPA system is widely spread in each industry for the efficiency and productivity on business operation as alternative of human work and operations. This trend will come to Mongolia as well in the near future. Then, beyond this trend, I assume AI and AR also will come. -Most of the smartphones are now unlocked by finger prints, face IDs which makes some customers uncomfortable with the data security. What do you think about that? -This is a technological improvement. Since I have worked in the technical industry, I have been accepting these changes positively. Biometrics such as fingerprints and face ID cannot be copied or manipulated. In this sense, these are very secure. Global mobile handset manufacturers are all using these security systems, because these are most reliable and easy one for the customers. -Comparing to previous years, people nowadays already understood about the importance of private information, and why it must be secured. But lifestyle is becoming more and more social, which possibly puts private data in danger. As we know, Mobicom is the only company that has implemented the ISO 27001 standard in the Mongolian ICT sector. How do you protect customer’s data? -Because of the rapid growth of social media, the threat of social attack is becoming global. Even there are police departments who look into these kinds of crime. The cyberattack is changing its way and already started providing risk to consumers as well as to corporate users. Mobicom Corporation is the leading telecommunications company in Mongolia, which means that we need to serve our customers as safely as possible. This is the main reason why we have implemented international security management. Therefore, our customers and cooperating companies can fully trust Mobicom. First of all, we have built our system to protect customers’ information, in compliance with Mongolian laws an regulation regarding personal privacy. Secondly, in order to get certified by ISMS, we had to pass rigorous technical and procedural tests, which proves our focus on data security. Having state-of-the-art tools and strict procedures are not enough to protect customers information. On top these, all of our employees need to have proper behavior, mindset and attitude towards safety and security. For this reason, we conduct semi-annual corporate cultural inductions to re-assure our commitment for our customers. -Now I would like to talk about Mobicom Corporation’s social responsibility. Obviously, there are so many requests from society organizations addressing to your company for help. But why did you choose the rural school improvement? -Children build our future. As long as our future is bright, everything will be excellent. We can’t change the past. But we can make the future better by making today greater. That’s why we chose the FUTURE. On the other hand, sanitation and hygiene is one of the basic needs for children, especially in rural areas. Children in UB might not face such problems. However, this is a huge problem for children in soums. In 21st century, such basic standards must be resolved somehow. But due to low developed infrastructure in rural areas, children are suffering every day. That is why, we wanted to change this situation and to show others that if we unite under one goal, we can make positive impact to the society. Now, our initiative has been supported by government and society. In past 5 years’ period, we have constructed modern bathroom facilities for one quarter of soum children. -The Child helpline 108 is the must-be-mentioned project because of its result. More than 7600 children are now safe and secure because of this project. Also, that was awarded as “The best youth and child protection project” by The International Telecommunication Union under the United Nations. I guess all your social responsibility projects are focused on child, isn’t it? -That's right. CHL 108 is very important project for Mongolian children. Thanks to this project, Mongolia officially legalized child helpline. Not only collecting reports of violence against children, but it also takes immediate action in hot cases, which involves physical act towards violence against children. Thanks to CHL 108 Mobicom helped save more than 7,000 children in Mongolia. We are very proud of this. In the future, we want this number to go down to zero. -I would like to ask about ICT EXPO 2018. How was Mobicom Corporation planning to amaze their clients? What is your major product or service that will be introduced during the expo? -It was great event for the ICT industry sector. We had a lot of chance to meet our customers, introducing our latest products and services cooperating with other organizations. To show many opportunities that simultaneously come together was our intention. MobiCom Corporation has a slogan, “Smarter Value into Your Life” in this year. Under this slogan, we are not focusing on only traditional mobile telecommunication and ICT business but also on new business which run on mobile telecommunication platform. By this, we wanted to share “Life Designing” concept with all of you in Mongolia. As a part of this Life Designing concept, particularly we focused on Candy e-money and Digital Financial service at this time together with some other outstanding products for consumer and enterprise market. Firstly, Candy e-Money business is stepping into the next stage for us at moment. We launched “Message Loan Service” last year. This service enabled our mobile customer to receive financial service through their mobile handset easily. The loan can be granted by both ways of Candy e-Money and directly Cash. In this year, we launched Candy-Payment Application on smartphone. This service implementation into market was very successful. It started gradually getting well known in market and becoming quite familiar to people’s daily life. Nowadays, mobile hand set, especially smartphone is transforming to the gadget for multiple purposes of use in your life, which are totally different from traditional purpose of use by voice and internet browsing. We believe by this transformation of usage of smartphones, our life style also will be drastically changed to smarter and more efficient way. Secondly, IoT also cannot be out of focal point on Life Designing concept. Nowadays, variety of IoT related business and service are being developed and implemented. MobiCom introduced one of IoT solution in the expo, “Vista Finder”. Vista Finder is a remote operation support system enabling you to transfer photo and live-video from remote locaiton by smartphone, Smart Glasses and Mobile PC with high quality, secure and easiness. This system can be used for variety of scene on our life and business for further effectivity and productivity. -At the end of this interview what would you like to say for start-up businessmen? Any advices for them? -To set a clear goal and have strong ambition is very important. “Goal” might be your “Dream”, but by starting to call it “Plan”, it will become more realistic. On top of that, if you start calling it “Schedule”, maybe you will be on the right track for success!